Illinois has an extensive passenger and freight rail transportation network. Chicago is a national Amtrak hub and in-state passengers are served by Amtrak's Illinois Service, featuring the Chicago to Carbondale Illini and Saluki, the Chicago to Quincy Carl Sandburg and Illinois Zephyr, and the Chicago to St. Louis Lincoln Service. 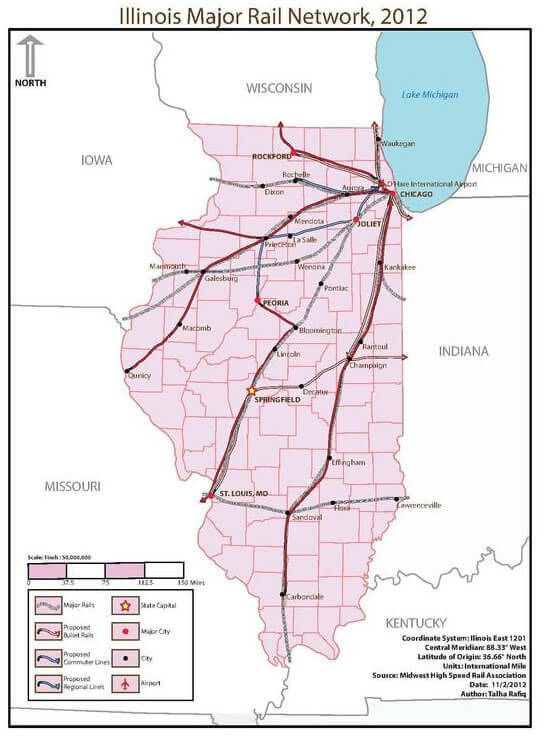 Click to enlarge image of "Illinois Major Rail Network Map 2012"